Those are the words of Humanosphere.org founder Tom Paulson when I asked him about the content strategy that our team of students created with him. 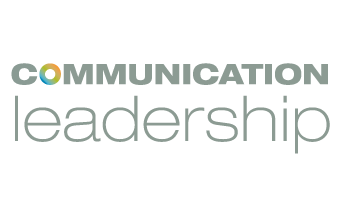 The strategy that we created was a part of our work for the Multi-Platform Content Strategy course in the Communication Leadership (Comm Lead) graduate program at the U.W. Honestly, he didn’t even have to buy us dinner. In this class, taught by Andrea Zeller, organizations team up with Comm Lead graduate students. Students perform content audits (for example, they may audit the content for a website) and create a plan for how to best deliver information to different audiences. Students also develop editorial calendars and governance practices so that organizations have an actionable plan to follow in the future. For Humanosphere.org (which covers global health and poverty news), the fact that the product is all content made the content auditing process a crucial step in creating a helpful strategy. We specifically asked them to identify what makes them unique online, namely Tom’s wit and personality. 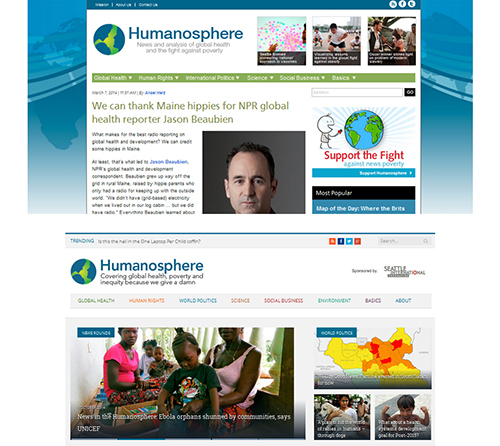 Accordingly, one of the big changes that we helped facilitate is updating Humanosphere.org’s tagline to better reflect the tone of the overall site. The new tagline, “Covering global health, poverty and inequity because we give a damn,” does just that. When we checked in with our client after their site redesign this summer, we learned that Humanosphere.org has seen an increase in traffic to their site. “It wasn’t just that you were new and independent observers. You brought up-to-date knowledge of the fast-moving and changing world of new media to our re-invention,” says Paulson. If your organization has put a great deal of effort into content, you know that it can be easy to get wrapped up in the content that you’ve created, to the point where the thought of making any sort of change is daunting. Sometimes there isn’t enough time in the day to devote to developing new strategies to keep things from going stale. Sometimes you need a fresh set of eyes. Comm Lead students in the Multi-Platform Content Strategy course have fresh eyes and ideas in spades. Do you think that your organization would benefit from this sort of partnership? If yes, feel free to send an email to Andrea Zeller at andreamzeller@gmail.com. But do so quickly, spots are filling up. After all, all it might cost you is dinner.